This deal is a very hot seller. Groupon has already sold over 1,000+ vouchers at the time of this post. Promotional value expires 120 days after purchase. Amount paid never expires. Limit 1 per person, may buy 1 additional as gift(s). Not valid with all-you-can-eat. Not valid for bento box specials. Valid only for a la Carte menu. No cash back. Not valid on Valentine’s Day. Not valid on Easter. May be repurchased every 60 days. Limit 1 per visit. Limit 1 per table. Valid only for option purchased. Valid for dine-in only. Not valid with other offers or promotions. Merchant is solely responsible to purchasers for the care and quality of the advertised goods and services. Calgary may be best known for its beef, but Oishii Sushi aims to buck that reputation. 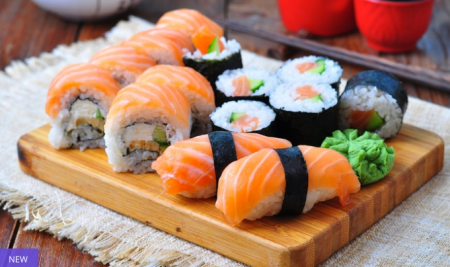 Whether sitting down for a light a la carte tasting or a full-one all-you-can-eat feast, Oishii’s selection of fresh, artful sushi, maki, and sashimi fits the bill. To round out the Japanese selections, the menu offers up a sprinkling of other Asian favorites, including Hong Kong’s specialty steamed dumplings and Thailand’s delightfully light spring rolls.